Suppliers to the construction industry from around the UK donated thousands of pounds worth of tools to an unlucky tradesman who was twice targeted by thieves, both before and after being diagnosed with a terminal illness. Cheltenham based carpenter Lee Newman had his van emptied of several thousand pounds worth of tools in two overnight heists, and faced another devastating tragedy when he was diagnosed with an incurable cancer whilst still trying to recover from the theft. Construction equipment manufacturer Armorgard found out about the thefts online and decided to do their bit to help, launching a #Tools4Lee campaign on social media. 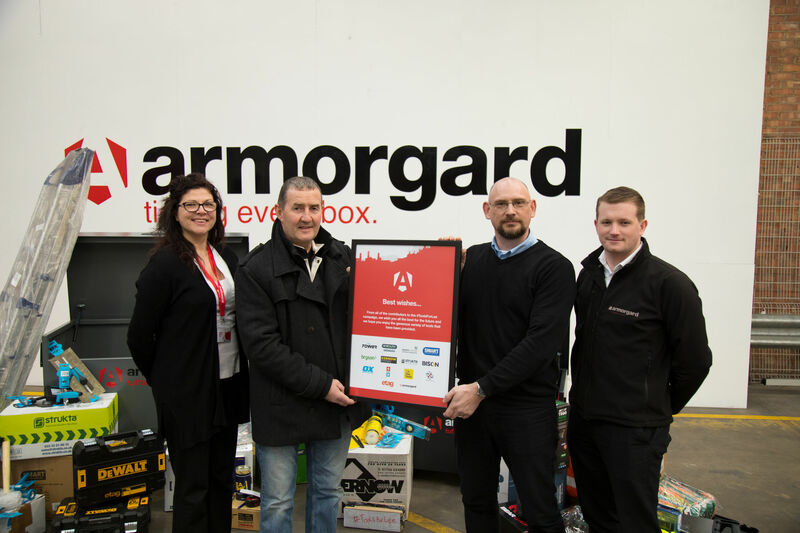 Customers of Armorgard rallied to help the appeal with donations of tools and equipment stockpiled at the firm's headquarters in Fareham, near Portsmouth. Tradesman Lee picked up his new tools on the 28th of February and paid tribute to the generosity of the businesses who helped. "It's amazing having so many people help you when you're at your lowest and you feel so much that's happening is bad," the 54-year-old said. "When something like this happens you feel like you've won the lottery! I'm so grateful". Armorgard Managing Director Terry Mitchell said: "I'm delighted that we were able to help Lee in his fight to get back to work and at the same time hit back at the thieves who did their best to destroy his business.